This free Tango vector art stock logo features a Hispanic villa, squeeze box and headstock of a stringed instrument. 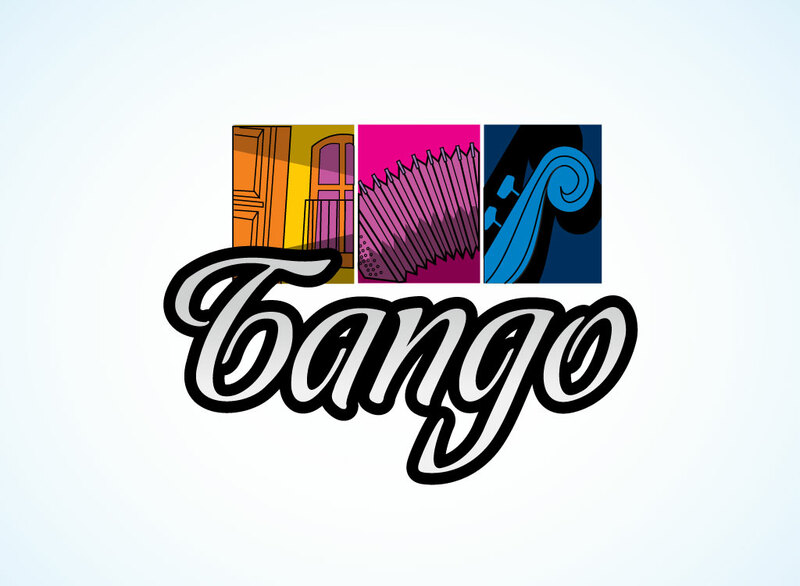 Each graphic is boxed with its own color scheme sitting over script text that reads “Tango”. Download this graphic for logo inspiration or a head start on your own original Latino or exotic music and dance design. Tags: Dance, Instrument, Latin America, Latino, Music, Passion, South America.